David Phears writes: There has always been a “Divine Hand” in my life. I truly believe that Life, or Infinite Spirit or God has looked out for me in my “sewing wild oats” years. Along the way, I have made mistakes, taken misleading advise, questioned my choices and subjected myself to some addictive illusions. Yet, all the while there was no doubt that there was a definite plan for my life. So this website is no accident, and my services that are being offered did not ‘pop up’ overnight. For the past thirty years, I have been transforming my thinking, celebrating little daily victories, co-creating a loving family life and learning how to give into the world community with faith and joy. Everything that I was allowed to go through in those ‘challenging’ years has given me compassion, vision, clarity, humbleness and an ever growing appreciation for the Higher Power that is within all of life and it is always desiring the best for all. I am very passionate about my profession and I love what I do in being of service to those who are led to make a difference in their own lives and the world around them. Through many years of study, a few personal miraculous healings, and practical revelations about the available power of transformational living, I am ready, willing and able to be of service to you. If your life challenges are real, and if you are tired of really hurting, I can support your choice to change your life and coach you along your way to victory and wholeness. If you are moving successfully along your chosen path and seem to be stuck or not clear on the next move, my services can be customized for your requirements. If your life seems to be embroiled in conflict and battle, yet you are seeking peace and highest good or if your addictions outweigh your joy and you want to live life more fully, functionally and freely I have the skills, experience, references, ability and willingness to partner with you on your journey to your vision of a thriving lifestyle, free to be what you were always meant to be. Let’s look at the possibilities and weigh the probabilities of the reality that all you are seeking in life is already seeking you – it’s simply a matter of establishing a clear vision and consciousness to welcome your new beginning, perhaps making a few slight inner adjustments along the way. 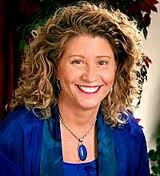 You are encouraged to join me in exploring the concept of living the Fulfilled Life beginning right where you are. All it takes is a decision – so contact me and let’s discuss the process and success of your personal vision for your greatest life yet!! . You can listen live at the link and anytime after first airing, or call in at 646-929-1763 with questions and comments . This Saturday, January 21, 2012, Noon PST ~ The New Season begins! “Awareness in the Field” and its impact on the emerging scene. Turrell’s latest book, “The Secret According to Jesus: No one is Left Behind”, helps explain Jesus’ ministry in a New Thought style making the master’s teaching easy to understand and apply. The first chapter, “A Conversation with Jesus”, explores the teachings of Jesus and how they apply to contemporary life. Jim Turrell was born in Chicago and grew up in the 50’s and 60’s. He graduated from Cal-State University at Los Angeles in 1969 and taught Junior and Senior High school for fifteen years specializing in instrumental music and American studies. He played professionally in the sixties and in 1967 toured Canada with the Mariachi Brass and in 1968 toured the United States with the Roger Wagner Chorale. Currently, Turrell plays the vibraphone and focuses on Jazz. Listen live or anytime after first airing. You can also call in to listen with questions and comments at 646-929-1763. If you are new to Jean Houston, you are in for a rare treat. Jean Houston, Ph.D., was one of the pioneers who established the human potential movement in the 70’s and continued revolutionary work in the field of motivation, creativity, and the great possibilities inherent in each person and their communities. She has been an international consultant to individuals, organizations and nations around the world speaking and teaching about the power of humans to optimize their imagination, gifts and visions, and translate them into positive action. Now, as traditional structures and assumptions are shifting and new insights, collaborations and networks are demanded, Dr. Houston’s work has advanced to a whole new level. 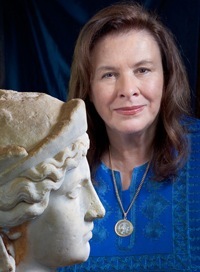 Jean Houston has worked intensively in 40 cultures and 100 countries helping to enhance and deepen their own uniqueness while they become part of the global community. Her ability to inspire and invigorate people enables her to readily convey her vision – the finest possible achievement of the individual potential. I describe myself as a teacher, guide, mentor, and leader. My life has long been about revealing the power that dwells within each person I meet. With this as my foundation, I have created a variety of expressions through which I contribute to the human experience. I was born and raised in suburban Miami, Florida and began demonstrating my interest in leadership while still in high school. I participated in several varsity sports and was Junior Class Secretary and Student Council Vice President in mysenior year. As I neared graduation, I received an Excellence in Leadership Award from the Daughters of the American Revolution and was named Outstanding Youth Leader for the State of Florida by the Fraternal Order of Elks. After attending my freshman year at Florida State University, I moved to Houston Texas and went to work for a large manufacturing company while attending night school at the University of Houston. In 1977, I started my own company, Waterhouse Engine and Pump Company, Inc. (WEPCO), which designed and fabricated fluid handling systems for oilfield drilling and production companies. During five years of operations I employed as many as 28 employees to produce as much as $4 million in gross annual sales. I also founded Waterhouse Enterprises and Adler Concrete Company as subsidiaries of WEPCO. In the early nineteen eighties I reached a significant turning point in my life. The oil industry had collapsed, so I sold or closed all my businesses. Then in the midst of this turmoil, my marriage ended. Seeing this as an opportune time to reorganize my life, I moved to Australia where I met and worked with a man named Ken Dyers who became my mentor. This experience was the most significant of my life. Through our work, I began to understand the deep meaning and cosmic connection of all life. As soon as I returned to the U.S., I came upon the Church of Religious Science in Miami, Florida and immediately immersed myself in the philosophy of Science of Mind. I began taking classes and was soon teaching my own non-certificated class at the Church on Sunday evenings. My formal studies culminated in 1988 when the Reverend Terry Cole-Whitaker ordained me into the ministry. On my own, I have committed a great deal of time and energy to comparing and contrasting the teachings of Ernest Holmes with the principles and practices of other spiritual disciplines. This work has carried me deeply into an exploration of Native American shamanism and simultaneously into academic endeavors, studying cultural diversity, chaos theory and organizational psychology. As a result, I returned to my academic pursuits and in 1996 I received my doctoral degree in organizational psychology from the Union Institute in Cincinnati, Ohio. I continue working with Cherokee and Lakota medicine people and have enjoyed exploring subjects of diversity and gender relations as an associate professor at the University of North Carolina as well as through my work at the Center for Spiritual Living. During the course of mygraduate studies, the ecumenical organization, Churches Uniting in Global Mission and its founder, Dr. Robert Schuller, recruited me to lead a social action program known as Peacemakers. As national program director, I traveled across the U.S. helping faith communities find new ways to become more directly involved in eliminating and healing the ravages of youth violence in their cities and neighborhoods. I continued working with teenagers through the Smart Choices Youth Mentoring Program in Asheville as a teacher and mentor. I also have supported this work as a board member of the program’s sponsoring organization, the Center for Restorative Justice. I have a passion for working in the men’s consciousness movement. I have led myriad men’s support groups and retreats and have worked with other contributors to this movement such as Robert Bly, Michael Meade and John Lee. I am committed to supporting men everywhere who seek to live their lives with integrity and through the power of their open hearts. Today, the central focus of my life is serving with my wife Barbara as co-minister of our Science of Mind spiritual community, the Center for Spiritual Living. Barbara and I founded the Center in our home in January 1995. Today, we occupy a ten thousand square foot teaching facility, which was designed and built largely with the support of volunteer friends and members of the Center. We are located at Two Science of Mind Way in Asheville, North Carolina and have a growing community of more than 300 members. Providing clear guidance and strong, yet flexible leadership to individuals and organizations is what my life is about. I bring these skills and abilities along with a passion for the full expression of all ideas and possibilities to every endeavor in which I embark. Click here to listen to The Moses Show live or anytime after first airing or call 646-929-1763 during live show with comments and questions. One of my greatest passions is to reach out and touch the hearts and lives of people who are seeking to find a better way of living. I hold myself up as a woman of power who has overcome significant obstacles to create a full and meaningful life. And with confidence, I tell all who care to know that they can do the same for themselves. I was born the youngest in a family of four children in Miami, Florida. Growing up with minimal resources and an alcoholic father, I quickly developed a strong sense of independence and self-reliance. My early life was marked with drug and alcohol abuse, poverty, welfare and myriad other struggles. I moved out of my parent’s home at the age of sixteen, was married and gave birth to my son, Matthew when I was 21. At 24, I moved to Oregon with my son, seeking to start a new life. One of my first encounters was with a small Religious Science Church in Eugene, Oregon. At that point, my life had reached an all-time low. I was 3,000 miles from anyone I knew; I had a three-year-old son with no money, no job and no place to live. Days before, I had been in a car accident in which one person died and the other, the woman with whom I was staying, decided to return immediately to Florida. Still as I listened to my new Science of Mind minister, I quickly learned that there were answers to all my problems and that all those answers were inside me. I enrolled in classes where I learned that by changing my perceptions of myself and the world around me, I could change my life for the better. As soon as I heard this, I was ready to embrace a new vision of a life that could be more fulfilling than anything I had ever imagined. Quickly, my life began to change. In 1980, I returned to South Florida where I joined the Ft. Lauderdale Church of Religious Science and soon after was hired as a member of the church’s administrative staff. I continued my course work in Science of Mind and in 1983, completed my ministerial studies where I excelled at public speaking. I soon after joined the staff of the Miami Church of Religious Science. There with my new husband, Rev. Tony Bonnacorso, I worked to build a ministry from an average Sunday attendance of thirty to over 300 in a three-year period. I served the Miami Church for five years during which the community thrived and prospered. During much of this same time, Tony and I produced television and radio programming on WLRN, WKAT and WTMI under the name “The Truth About You.” Much of our success in Miami is attributed to our work in local media. In 1988, I left the Miami Church and my second marriage. It was also that year that I was ordained into ministry by the Rev. 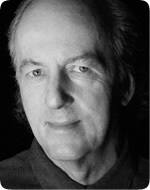 Terry Cole Whittaker. After two years of speaking engagements and private counseling, with my new husband, John Waterhouse, I moved to Asheville, North Carolina. In 1992, I enrolled at the University of North Carolina and quickly became an academic honor student, maintaining a 4.0 GPA throughout my college studies. Still the call to return to ministry became irresistible and on January 15, 1995, John and I held the first Sunday Celebration of a new spiritual community in our rural North Carolina home. Today, the central focus of my life is serving with John as co-minister of the Center for Spiritual Living, a Science of Mind spiritual community: http://cslasheville.org/ We occupy a ten thousand square foot teaching facility on a 6-acre site that was designed and built largely with the support of volunteer help from friends and members of the Center. The Center for Spiritual Living is located at Two Science of Mind Way in Asheville, North Carolina and is a growing community with more than 300 members. We offer Celebrations of Life every Sunday morning at 9:30 and 11:00. 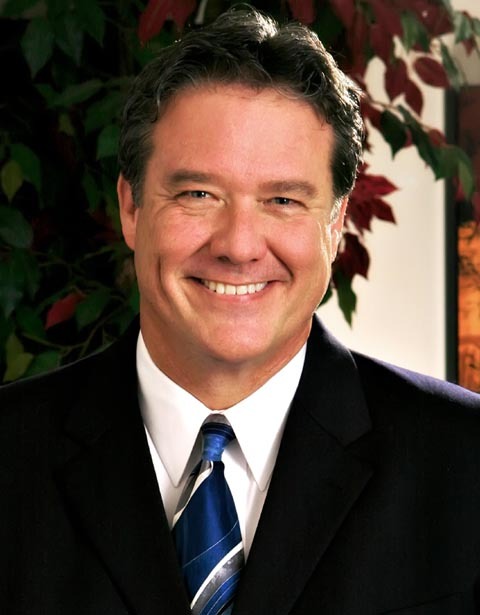 In 2001, John and I initiated a new television program in the Asheville area under the name of my previous show, “The Truth About You.” The program aired on Channel 10, every Saturday evening for over a year. Today, my life is about sharing with everyone I meet that the ability to be successful and joyously happy dwells within us. I offer my life as an example of this truth. My passion is still in teaching people to take charge of their lives, regardless of circumstances, past or present. Through our work at the Center for Spiritual Living, untold numbers of people have connected with their own inner beauty and personal power. You can also call in to listen live with questions and comments via phone: 646-929-1763. There has always been a “Divine Hand” in my life. I truly believe that Life, or Infinite Spirit or God has looked out for me in my “sewing wild oats” years. Along the way, I have made mistakes, taken misleading advise, questioned my choices and subjected myself to some addictive illusions. Yet, all the while there was no doubt that there was a definite plan for my life. So this website is no accident, and my services that are being offered did not ‘pop up’ overnight. For the past thirty years, I have been transforming my thinking, celebrating little daily victories, co-creating a loving family life and learning how to give into the world community with faith and joy. Not since John Kehoe released his groundbreaking book Mind Power 25 years ago has such a compelling vision been revealed to us. In Quantum Warrior | The Future of the Mind, John Kehoe combines the most up-to-date scientific discoveries with mystical teachings from our major religions to create a vision of the quantum warrior and the possibilities of our future as a species. With great insight he reveals the extraordinary mysteries of consciousness and the universe. Quantum warriorship is a path to becoming a complete and integrated human being, a journey into the wonder of self and the universe. It reveals a new way to achieve success, happiness and personal fulfillment. This book teaches us the methods for fully incorporating these visionary techniques into our daily lives. For anyone wanting to learn about the mysteries of life and the vastness of human potential, this is the book to read. 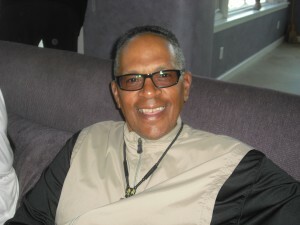 Click onto http://newthought.com/themosesshow.html to listen to the show live or anytime after first airing. And you can also call in to listen on 646-929-1763 with questions and comments on the live show. Throughout his lifetime, Dennis Merritt Jones has been on a quest to inspire and lift people to a higher expression of life. His personal vision is to guide people to their purpose, knowing that when a person fully awakens to who they are and why they are on the planet, they begin to naturally share their gift with humankind and, in the process, create an enriching life for themselves and the world around them. Dennisʼ most recent book, The Art of Uncertainty ~ How to Live in the Mystery of Life and Love It ~ was released by Tarcher/Penguin on June 9, 2011. In addition, Dennis is the award winning author of The Art of Being ~ 101 Ways to Practice Purpose in Your Life, also released by Tarcher/Penguin Publishing. The Art of Being received the Nautilus Gold Award designed to highlight books that offer new ideas and options for a better world for everyone. The Art of Being was also a Silver Finalist in the Multiple Sclerosis Society Books for a Better Life Awards. Study Guides are available for both books as a free download at Dennisʼ website: www.DennisMerrittJones.com. Dennis believes we each have the capacity and, ultimately, the responsibility to contribute something positive to this world, leaving it a better place than it was when we arrived. His teachings promote a contemporary, life-affirming, spiritually logical and positive outlook on life, which are reﬂected in his writings. Dennis is a universal speaker who is equally comfortable speaking to an audience seeking spiritual inspiration or to those seeking a purely secular motivational message. He uses his understanding of universal principles to draw upon wisdom from both eastern and western philosophies. Dennis believes that there is a new consciousness of unity, cooperation and reverence rising in humankind where the value of all life is considered sacred. He believes this consciousness of unity, cooperation and reverence for life and the planet will be one of the most signiﬁcant influences upon society as we approach the challenges of 21st century living. Dennis was the founder and spiritual director of the International Center for Spiritual Living in Simi Valley, CA. Dennis retired from the pulpit in 2008 to take is message to the world by means of his books, sacred journeys travel, spiritual mentoring, keynote speaking and seminars. For more information, please contact Diane@DennisMerrittJones.com. To listen live or anytime after first airing click button below or call in at 646-929-1763 live with questions and comments. Dr. Jimholds a Masters Degree from the University of Miami and a Bachelor of Arts Degree from the University of Maryland at College Park. He serves on the Board of Directors of International Centers for Spiritual Living, as Director of the Department of Transformation and is on the Integration Team and the Integration Design Team. His newest book, SACRED THINKING: Awakening to Your Inner Power, is about integrating your spiritual practices with a fully-realized concept of God to create the life of your dreams. It is available at the Center bookstore, or at www.SacredThinking.com. He lives in Oak Park, California with his wife, Dorianne, his step-daughter, Grace. His daughter, Heather lives in the eastern United States. Mind Power Into the 21st Century has sold millions of copies, and has become an international bestseller, translated and published in a multitude of languages including, French, German, Japanese, Korean, Russian, Bulgarian, Lithuanian, Italian, and Serbian. John has also written four other books,Money Success & You, A Vision of Power and Glory, The Practice of Happiness and Mind Power for Children. Click on Listen to The Moses Show to hear the show either live or anytime after first airing. You can also listen and call in with questions and comments at 646-929-1763.